Thankyou for making me feel beautiful on my wedding day, you listened to exactly what I wanted and I LOVED the finished look. You were also such a lovely person to have around on the morning. I cannot recommend you enough. As soon as I got engaged I knew I wanted Karen to do my makeup. Being very familiar with Karens work, I couldn’t wait to see how I would look with all her experience. I showed Karen a few ideas, and told her I wanted a vintage feel. I felt completely comfortable to let her run with her creativity during my trial, so that my makeup be something she was also proud of. 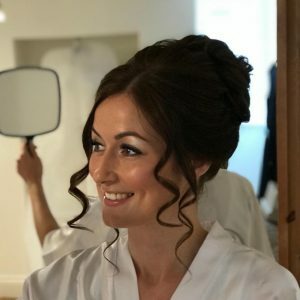 I couldn’t have been more blown away with the result and on the day I received countless compliments from my guests and from my now husband about how fantastic my makeup looked. I cant thank Karen enough for how beautiful she made me feel on the most special day of my life and I thank her for putting so much passion, heart and soul into my final look. 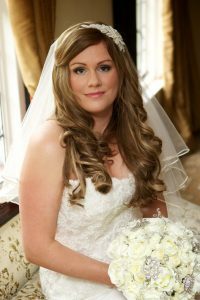 Hi Karen , I just wanted to say the biggest thank you, I could not have been happier with my makeup and the wedding party’s makeup. You made us all feel amazing! You did such an amazing job and we had so many compliments. I have passed your details onto some beautiful brides to be. 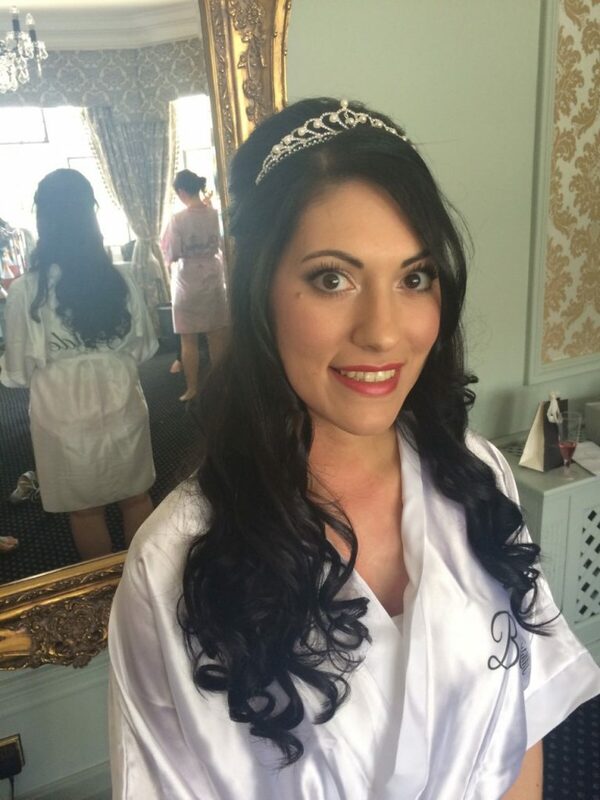 When preparing for my wedding, I was most worried about hair and make up; I am completely clueless when it comes to being girly and pampered so I was so so relieved when Karen came to the makeup trial – she was so knowledgeable, down to earth and completely open to any ideas. 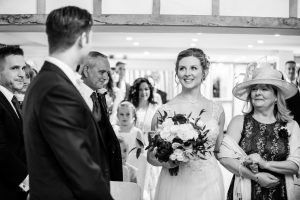 Her talent with makeup is spectacular and despite the bridesmaids not having a makeup trial before the wedding, Karen arrived on the day, made us all feel at ease and created perfect flawless makeup for the girls. I don’t often wear makeup, but Karen listen to what I wanted and I felt amazing. 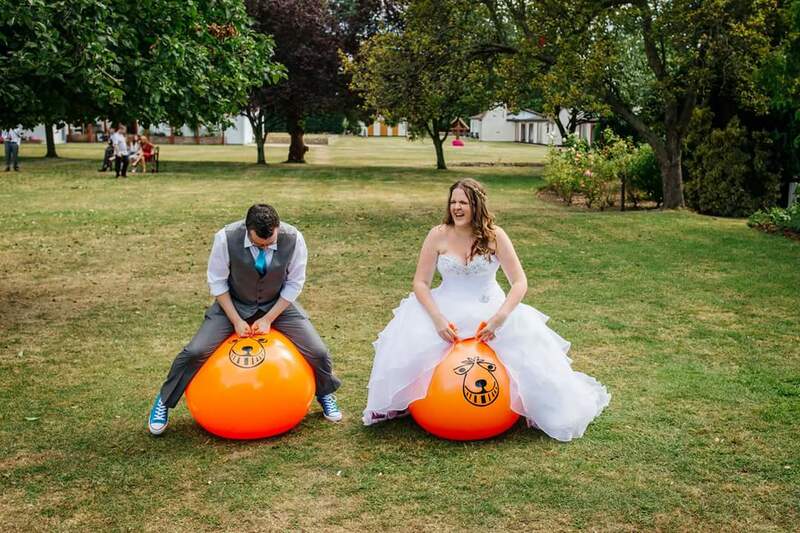 I was amazed it lasted the whole day despite bouncing on space hoppers, bouncy castles and having a cupcake smash in my face! 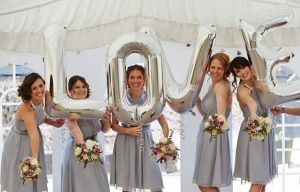 Thank you so much Karen – you have an amazing talent and made me, my mum and my bridesmaids feel like superstars! 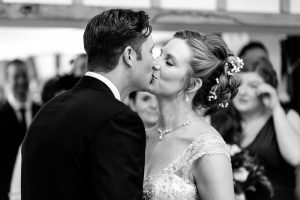 I cant thank you enough for everything – from my first trials, right through to my big day, you were amazing. You are so kind and patient, I truly couldn’t recommend you more! I have never felt as confident, don’t think I stopped smiling all day – and even managed to bring a tear to my husbands eye when he saw me walking down the isle. So many lovely memories, thankyou! 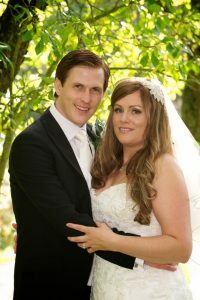 I just wanted to say a big thankyou for the great job you did with my makeup and my 4 bridesmaids for my wedding. We all looked so lovely and you seemed to have so much patience with all the mayhem that was going on around us! I think everyone has agreed that you went far and beyond your call of duty that day. I will gladly recommed you to anybody needing a makeup artist in the future! Emma Haplin, White hart, Great Yeldham. 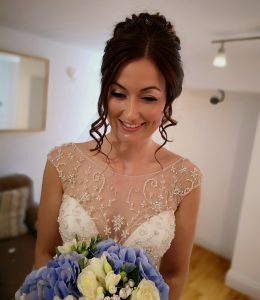 I just wanted to say a HUGE thankyou for doing my makeup as well as my mum and my four bridesmaids. We all felt absolutely stunning, we got so many compliments and the makeup lasted all day right through to the evening! I will be recommending you to everyone!